Steps journalists can take to communicate trust and credibility in each story. Celeste Headlee, award-wining journalist, public radio host, and author. 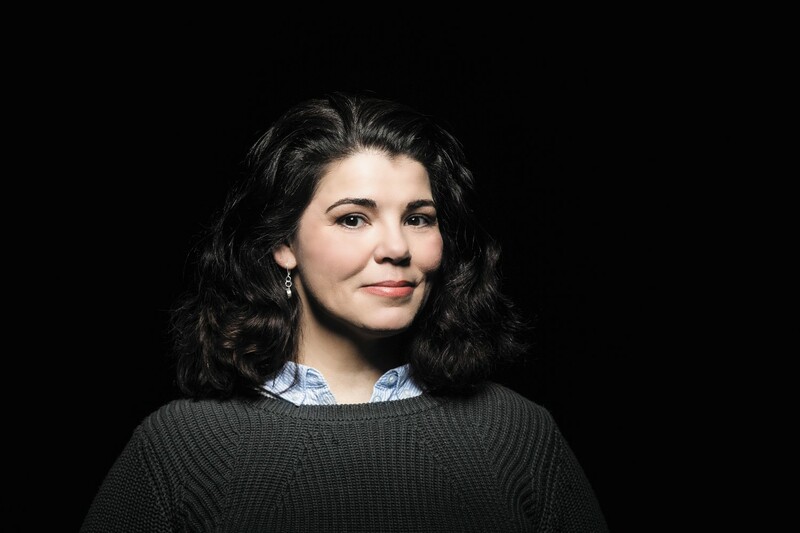 Editor’s note: I had the pleasure of interviewing Celeste Headlee is an award-wining journalist, public radio host, author, and expert in communication and human nature. As an NPR host and journalist, Celeste has interviewed hundreds of people from all walks of life, learning the true power of conversation and its ability to both bridge gaps or deepen wounds. She is the author of We Need to Talk: How to Have Conversations that Matter and TEDx Talk presenter whose talk sharing 10 ways to have a better conversation has garnered over 16 million total views to date. I started as a classical music announcer at Arizona Public Radio. It was the perfect day job for an opera singer. But because they didn’t have any reporters who were qualified to do arts and culture interviews, they trained me in journalism and I found that I loved it and was good at it. Journalists spend their days searching for the truth and then informing the public so that citizens can make smart decisions. People who believe fake news are less likely to believe the truth when it’s presented to them. They are more likely to distrust credible experts if they contradict the fake news they believe. Fake news is often intended to mislead and manipulate the public and it interferes with the work journalists do. I think it’s forced me to engage more with people over social media than I did in the past, in an attempt to explain how journalists do their work. We simply have to double down on the good practices we learned. Confirmation from two independent sources and careful vetting of all experts. But I take more care than ever to explain every fact and make sure there is no confusion. If a listener can’t explain the story themselves by the end of the segment, I’ve failed. Some of the most difficult are, as you might expect, the stories that involve race or prejudice. But equally difficult are the stories on which many people have been swayed by incorrect facts or misleading info on the internet, like vaccinations. Confirmation bias can be incredibly difficult to break. Finding the right source is perhaps one of the most important tasks for a journalist. Vet them carefully and check to make sure they don’t have a stake or bias on the issue. It takes more time, but it’s important to read what your source has written or check on interviews they’ve done. If I’m doing interviews from home, I use Zoom or RIngr to record the interview. It’s important to report the facts clearly and as unemotionally as possible. If there are weaknesses in a study or context needed for a poll, it’s important to give it. Transparency is key. While no human being can be entirely objective, it’s possible to be fair and transparent. Being transparent builds trust. For example, when I was doing interviews on the Confederate flag, I disclosed that I’m just a couple generations removed from a plantation in Georgia and I have strong view on the flag, but I promised listeners to be fair and invited their thoughts if they heard inaccuracies. Journalism is not an easy job. How does your process build trustworthiness into your stories? Don’t make assumptions and back up everything you say. Fact check not just what you write but also what your sources say. Don’t allow a source to say something untrue. I take careful notes, even when I’m recording, to make sure that I’ve gotten the gist of what my sources say. And I don’t skip steps. I fact check every number and every date and every claim. I often consult resources like ProCon.org (I just joined that group’s advisory board) to make sure I’m getting as close to objectivity as possible. And I have a colleague read every script. If you don’t have time to do a story right, don’t take the assignment. Once you’ve made mistakes, it’s hard to repair your reputation. Getting the story right is more important than getting it first. Do your homework and research the stories you’re working on. What are your “5 Ways Journalists Can Win Back Trust In Journalism” and why? Find the right experts. One example is an hour that we did on 1A recently, about ICE. We found people who’ve spent years writing about and researching this organization, who’s track record shows no bias. Be transparent. I’ll use the example of the hour we did for “On Second Thought”, my show in Atlanta. I disclosed almost immediately that I’m a mixed race woman with strong feelings about the flag. I disclosed that I have opinions about the Confederate flag, but promised to be fair and accurate. And I invited listener response. Admit mistakes. If you make a mistake, report it as diligently and openly as you would any other story. Don’t make assumptions. Even if everyone is saying that the unemployment rate dropped, look at the report from the Department of Labor and make sure you understand how they arrive at that number. Fact check your sources, your colleagues’, and yourself. Don’t be smug. Explain things clearly and ask questions with genuine curiosity. Forget about creating your brand while you’re reporting. I would get rid of pundits immediately. I was in the airport for hours recently, because of a delayed flight. I watched a cable news channel and waited to see how long it would be before I saw a reporter. For more than 4 hours, the channel featured anchors talking to pundits and not a single reporter. Pundits have a financial incentive to say provocative and extreme things, and they are almost never experts in the topic on which they’re giving their opinion. Interviewing a pundit is not journalism. Can you please give us your favorite life lesson quote that impacted your career? It’s a quote from Helen Thomas: “We don’t go into journalism to be popular. It is our job to seek the truth and put constant pressure on our leaders until we get answers.” I take this to also mean that it’s not about appearing smart or creating a brand, it’s about serving the public. This interview is part of an interview series by TapeACall, the original iPhone call recording app. You can check it out at tapeacall.com. Slow Down To Do More: “Allow Your Brain To Rest” with Ashley Graber and Celeste Headlee.